The Choice Program was designed to shorten wait times and ease travel burdens for veterans. But Congress failed to pass the reform package last month. U.S. Department of Veterans Affairs Acting Secretary Robert Wilkie is asking Congress to pass a series of reforms, including the Choice Program, after the lawmakers did not do so last month. In a statement, Wilkie wrote that the VA and Congress need to overhaul the VA Choice Program to combat wait times of more than 30 days for some VA health centers or for veterans who need to travel more than 40 miles to see a VA doctor. 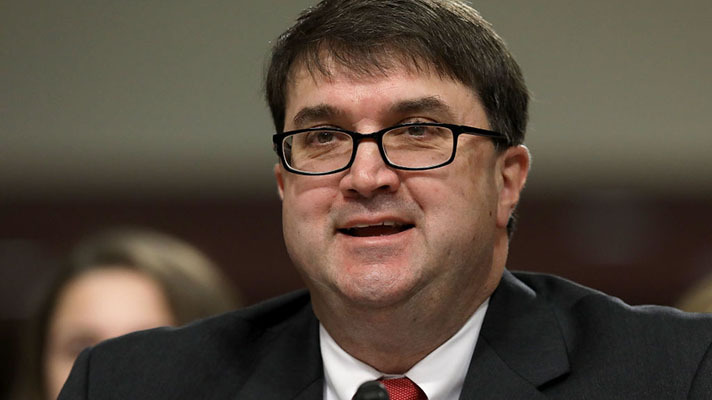 “It’s time to fix the Choice Program – as well as the department’s other non-VA care efforts – once and for all by merging them into a single, streamlined community care program that’s easy to use for Veterans and VA employees,” Wilkie wrote. That change would require technologies to enable greater interoperability with providers outside the VA. Along with a Choice Program overhaul, these reforms also would extend veteran caregiver benefits and reviewed the VA’s infrastructure to find and remove aging or underused facilities. On Monday, Wilkie also told House and Senate veterans affairs committee members that he supported the package of reforms attached to bill HR 1625, which would have provided additional funds and streamlined the program. Former VA Secretary David Shulkin, MD, strongly supported the bill, as it would help improve access to care and support the VA health system with wait-time struggles. Initially passed in 2014, the bipartisan Choice Program would extend private sector options for veterans. It’s been extended twice by Congress in response to the wait time scheduling scandal. The program was meant to be a temporary stop-gap, and several Congressional members have expressed concern that it will continue a shift into private care for veterans. The bill also has support from Senate Committee on Veterans Affairs Chair Johnny Isakson, R-Georgia, who helped to pass the initial bill in 2014. But Rep. Debbie Wasserman-Schultz, D-Florida, has consistently said that the push to continue the Choice Program will fuel a shift into privatizing VA healthcare. In a New York Times Op-Ed, Shulkin said he was ousted by those who wanted to privatize the VA, which the White House summarily denied. Whether Congress can gain momentum for these reforms before they hear from President Donald Trump’s pick to lead the VA, White House Physician Rear Adm. Ronny Jackson, remains to be seen. At the moment, no confirmation hearing has been scheduled.